It’s that time of year again… on Monday, the jury will release the nominated (and recommended) lists for the Spiel des Jahres, the game of the year award. There is a pretty complicated process through which the jury members play the games and then settle upon their votes – this has been outlined in a number of different places, including an interview with then-head-of-the-jury Tom Werneck. The overall rules seem to change a bit each year as far as the number of games nominated and/or recommended, and the public doesn’t see those changes until the lists come out. The ever-changing nature of the lists does make it a bit hard to simulate, but that’s never stopped us before! We are going to keep to our tradition of trying to make our guessing before knowing the real list, and then we’ll see how well we match up on Monday. Then, once the real lists are known, we’ll vote again to see if our preferences match those of the jury. The usual caveats still apply. It’s hard for us to know which late releases in 2017 make the cut for eligibility. Also, as we only have two or three active OG writers in Germany, there are probably a few games that are big over there that we simply don’t know about as there is no EN version. We did not really generate a list of games and have people pick from it; OG writers were just told to vote for five games. We actually had a pretty strong preference for our top 5. Hyperlinks are to our reviews. I am much less confident in my Kennerspiel votes, mostly because I’m never quite sure what level of game is being considered for the award. In this year’s case, I just voted for the games that I want to win the award. My top vote goes to The Colonists from Lookout Games, which is a game that is perhaps way too complicated, way too heavy (both in complexity and gross tonnage), and way too expensive (MSRP $90 US). But, it has been one of the best games I have played in recent memory, and an instant addition to my all time top ten. I was also the only OG writer to nominate the EXIT games from KOSMOS. I think that the escape room trend is clearly the new big thing in gaming, and giving a nomination to one of the games or perhaps the series would be a great way to highlight this fact (similar to Dominion for deckbuilders and Pandemic for co-operative games in 2009) – as KOSMOS is a huge player in Germany, I went for their games in this genre. In the end, it’s all just fun speculation. I’m awaiting the lists with you guys, and we’ll have more to say about it closer to the time of the actual award! 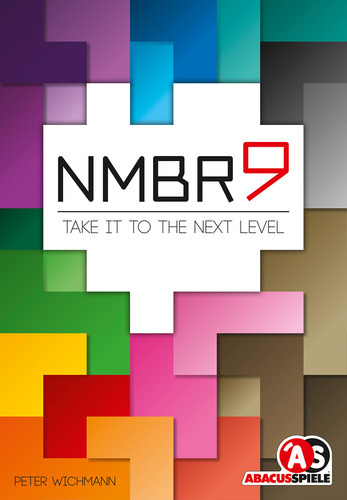 Joe Huber: I like Nmbr9. Quite a bit, really; I’ve played it 15 times already in just over a month. And – I just don’t see it for the Spiel des Jahres. Not that I disagree with all of the top choices; I think Kingdomino is a very reasonable pick, and I actually expect Fabelsaft to garner a nomination. Just not Nmbr9 – whatever I may think of it. FWIW, my guess for the award is Tempel des Schreckens; I was the only one to guess it. (And, unlike others, I only make one pick – I tend to think about the problem in terms of winner and nominees, rather than odds of certain games winning.) Given that Tempel des Schreckens isn’t a prototypical SdJ winner, I’ve questioned my pick since I made it, but I haven’t found another game that I find a better fit. I’ve never been good at guessing KedJ nominees or winners, but I must admit I think First Class is even less likely to be the KedJ than Nmbr9 is to win SdJ. I enjoy the game – even more than Nmbr9 – but I don’t see it as a KedJ pick. Instead – with trepidations – my guess is Century: Die Gewürzstraße. Not trepidations about the game being perceived as too light for the award – but rather trepidations on how the game has been received by the jury. My guesses for the other nominees – Captain Sonar and Mea Culpa – seem to be well outside of the guesses of the other folks who participated here, but that’s no great surprise. Chris Wray: For the Spiel des Jahres, the top 5 guesses by the Opinionated Gamers equaled my top five guesses, albeit in a different order. I went with Kingdomino, NMBR 9, Fabled Fruit, Century: Spice Road, and Magic Maze (in that order). My heart is probably with NMBR 9: I’ve had it a month and played it 23 times! But really, I love all five of those games, and I wish the designers/publishers the best of luck. I try to call a darkhorse every year, and this year, I’m going with Tempel des Schreckens. As Joe notes above, he was the only person to vote for it, but it would have been #6 on my list. Jury members have been saying nice things about the game, and I played it several times this past weekend and loved it. The only reason I think it is a dark horse is becuase it (a) lacks the “toy” factor the jury seems to look for, and (b) it is a lying/bluffing game, which would turn off some families. For Kennerspiel, I have no idea! I’ve never been able to see the point of the Kennerspiel award, nor have I ever proven good at predicting it. I voted for First Class, Kanagawa, El Dorado, Barenpark, and Oracle of Delphi (in that order), but they were really more of default choices since I felt many of the other more popular choices were either too heavy (Colonists, Lorenzo il Magnifico, Great Western Trail), too light (Century: Spice Road), or just not attractive enough to the jury (Cottage Garden, Via Nebula). Larry: For the SdJ this year, I went with the games I want to win, rather than the ones I think will win (since, when there isn’t an obvious choice, I find it very tough to think along with the Jury). I’m hoping that both Barenpark and Century: Spice Road won’t be considered too complex for the SdJ (since they’re really very simple games to teach). After I made these picks, I found out there may be some component issues with Barenpark, so that could hurt its chances. But Spice Road was released just in time to qualify for the award and I’m hopeful it will at least gain a nomination. I guess I wouldn’t be shocked if it gets nominated for the KdJ instead, but given its simplicity, that would make me sad. I sort of did something similar with the KdJ. Valletta and Cottage Garden are two of the few middleweights I enjoyed over the period. 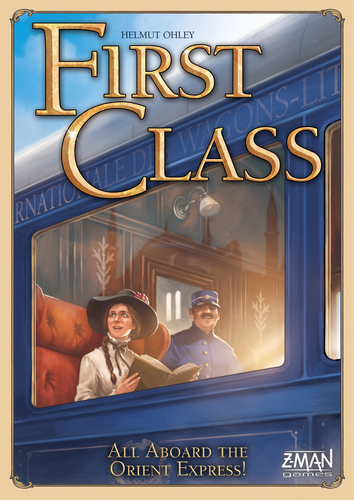 First Class is probably a better game, but for some reason, it doesn’t feel like a KdJ title; it would be great if it does get nominated. But I’d be happy if any of these games gets an official mention. Andrea “Liga” Ligabue: i was almost in agreement with our list but i was really surprised about the few votes Oceanos got. I think Oceanos is one of the strongest candidates, with everything a Sdj really needs: nice theme, great materials and graphics and a simple but challanging mechanic. I don’t have a single candidate for the Kdj with many titles close to the top but always lacking something (too easy, too difficult, not a so good theme, not so original). Sdj and Kdj committee has used us to sometimes unexpected decision so i’m really waiting for the nominee with great interest. For KdJ, I actually chose the first couple because I really love them and hope one or the other wins. I am not sure if the judges will choose a game with their complexity/length though. Mystic Vale has a really unique mechanism plus it isn’t overly complex – about on par with Dominion, with which it shares some attributes. I’m not overly thrilled with the last two, although I will play them – both being two repetitive for me – but I think they would appeal to the judges. I put Century in both lists – it may be too complex for the SdJ? Of the top ten, I haven’t played First Class (but now I really want to!) or Cottage Garden; I’m not sure if I played Oracle of Delphi – it looks familiar but that’s about it. Hey, we’re all allowed to disagree! Of course, his vote counts a HECK of a lot more (actually, INFINITELY more) than mine for the award. His concerns are not unfounded – NMBR9 is definitely simultaneous solitaire. For what it’s worth, this lack of interaction did not stop the jury from recommending Take it Easy in 1994. Udo Bartsch also apparently did not care for NMBR9 based on his Spielbox rating. Someday, when they invite me to be on the jury, it’ll all be different! No Terraforming Mars for the KdJ? I’d be suprised if they didn’t nominate TM, it’s been very popular in germany. My prediciton came true. Terraforming Mars has been nominated. Great job, meradanis, you scooped us all! I still think it’s way too complex to win the award (just as I felt about Great Western Trail, Colonists, and Lorenzo), but I’ve found it even harder to predict the jury’s feelings for the Kennerspiel than for the SdJ, so who knows? I do see the jury only rates its complexity as “sophisticated”, the same as Raiders of the North Sea and Captain Sonar (and as opposed to GWT’s “very challenging”), so maybe it has a shot. It’s certainly the game I’m rooting for to win. So congratulations on your successful prediction!